When you imagine an Ancient Forest, the path to Lorien, to Mirkwood or Yggdrasil, the trees are like columns of an outdoor cathedral. Ideal for speeder bikes and rebels to battle the imperial outpost on a forest moon. 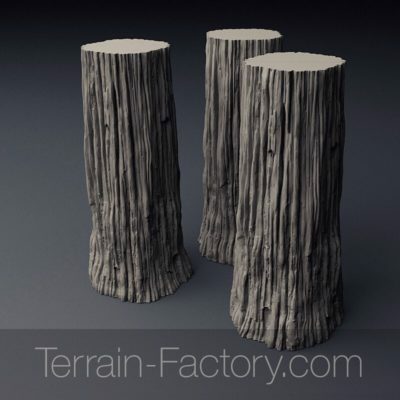 Imagined for tabletop wargaming in 28mm and Built to stand 150mm tall, these ancient trees are scalable for a limitless number of settings. Great for Pathfinder, DnD, Warhammer Fantasy, Start Wars Legions, Middle Earth and so many more RPGs and Miniature games. This is one sculpt. More variations may be available in the future if this does well. Please order only one if you want to print some. If you order extra, it will go to support further development. Perched on a cliff that overlooks the desert lands to the west, the Castle of the Holy Sands was once the stronghold of an order of Paladins. The corruption of their leader by a demon led to in-fighting and then extinction. The ruins of the castle stand there to this day, outliving its builders by centuries. 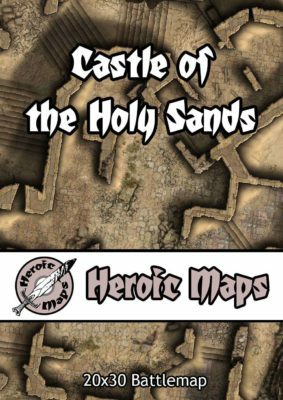 Contents: A 20 x 30 map depicting the ruins of a large castle in a dry, arid, desert environment. Wide sandstone steps wind up the side of the castle, overlooked by high walls. The castle is entered via a ruined gatehouse, with an inner bailey surrounded by the remains of delapidated buildings, some with fine floors hinting at their previous glory. The castle is on a high cliff, although those willing to scale the cliffs will find the walls have collapsed in places, allowing entry that bypasses the gatehouse. 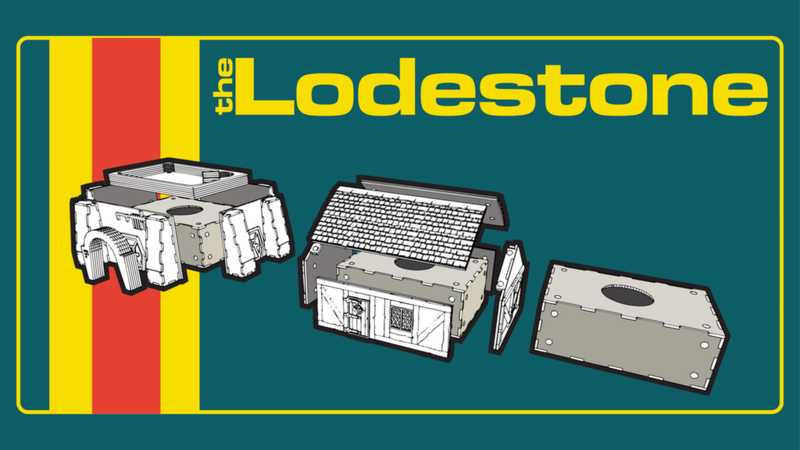 It’s simple: a base box with magnetic exteriors (skins), snap them together and you’ve got a Lodestone tabletop building. That’s it! The base boxes and skins are already fully assembled, and with the cunning use of magnets there’s no need for drawn-out and fiddly construction. The skins are quick and easy to put together and take apart; once finished with, they can be flat-pack away and stored with maximum efficiency. As transforming one genre into another is effortless, you can be as flexible as you like with your gaming genre. No lengthy construction, no gluing, easy storage, quick assembly and re-configuration. What’s not to love! 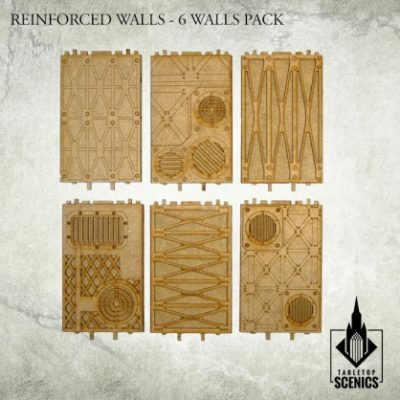 Contents of this frames may be used to make various wall options to be added to your Mechanicum structures. Reinforced Walls are compatible with every Mechanicum product. This set contains elements to assemble 6 different walls, 5 wall stands and 14 hazard signs.